Convinced that he could not win the election scheduled for June 1952, Batista overthrew President Carlos Prio's regime in a bloodless and masterfully executed coup d'état on March 10. The coup was almost entirely dependent on army backing and caught the Cuban population, as well as Prio and his followers, by surprise. Batista quickly consolidated his position by replacing dissenting army officers with his own loyal men, exiling or arresting key Prio supporters, and taking temporary control over the mass media. Prio himself sought asylum in the Mexican Embassy and later left the country. The ease with which Batista took over underscored the weakness of Cuba's political institutions. The legislative branch was weak and permeated with corruption. Even the judiciary had lost prestige because of its subservient role to the executive branch. The ortodoxos were leaderless and had been largely ineffectual since Chibas's death. The autenticos' corruption and inability to bring profound structural changes to the Cuban economy had cost them a good deal of support and discredited them in the eyes of many Cubans. The failure of this democratic reformist party was perhaps the single most important factor contributing to the 1952 coup and the events that followed. By then the importance and power of the business community had grown significantly, helped in part by the rapid economic growth experienced by the island in the 1940s. 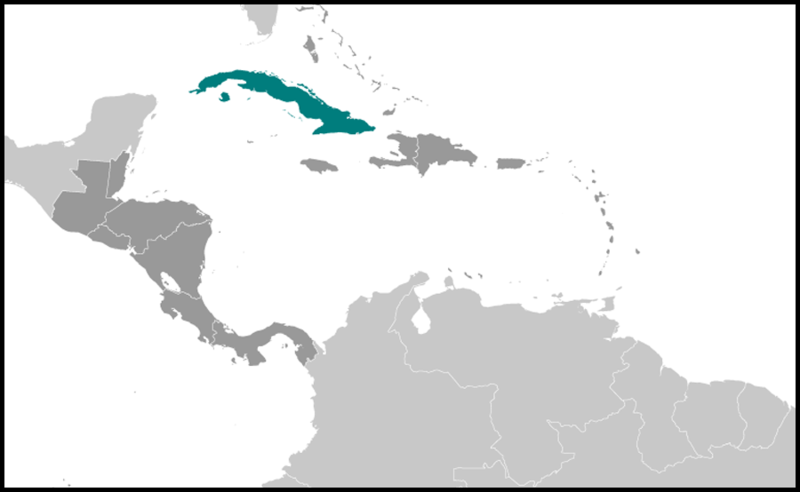 World War II had paralyzed sugar production in many areas of Europe and Asia, making possible the further expansion of Cuba's sugar industry. At the same time, the deterioration of international trade during the war years gave Cuba an extraordinary amount of foreign exchange that would otherwise have gone toward the purchase of agricultural and industrial import items. All of this served to accelerate the diversification process in Cuba's economic development. 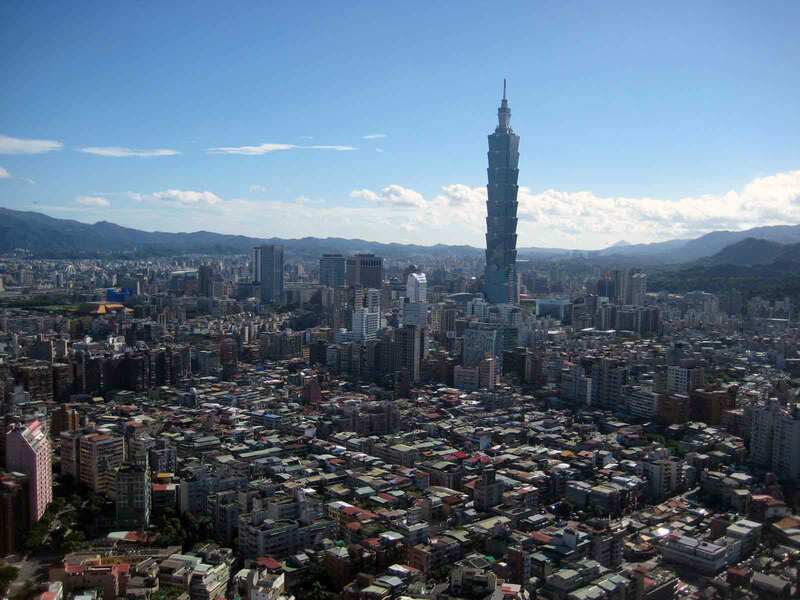 Domestic production flourished, and other new productive activities were established. This circumstance was put to good use by Cuban entrepreneurs, who began to occupy relatively important positions in the development of the island's economy. Yet despite this progress, the Cuban economy suffered from certain structural weaknesses that prevented any sustained period of rapid economic growth. Chief among these was an excessive concentration on sugar production and foreign trade, a critical dependency on one major buyer-supplier, substantial unemployment and underemployment, and inequalities between urban and rural living standards. Despite the apparent support of business, labor, and peasant groups, Batista failed to develop an active base of political backing. Political loyalties were often the result of intimidation or expediency and for that reason were often short-lived. Batista's actual political base was now narrower than in the 1930s. Even within the armed forces, and particularly in the middle and lower echelons of the officer corps, there were numerous disgruntled ortodoxo and autentico officers who engaged in conspiratorial activities against the regime. The imposition of strict censorship by the Batista regime silenced all criticism. Opposition leaders were either jailed or exiled. Repression increased. The voices that clamored for a peaceful solution to the interruption of Cuba's constitutional process were soon drowned by voices clamoring for violence. Cuba again was submerged in terrorism and violence, a violence that finally culminated in a major revolution. Opposition developed from various sectors. Numerous ortodoxos, a faction of the Authentic Party under Grau, and most of Cuba's politicians peacefully opposed Batista, hoping for an honest election. Another faction of the autenticos, together with several Ortodoxo leaders, went underground and began plotting insurrectionary activities. The active banner of rebellion, however, was to be carried by university students. Students laid aside their rivalries, directing all their efforts against the new regime. Militant anti-Batista student leaders emerged with effective political power, not only in the student community, but nationally as well. During the first three years of Batista's rule, student opposition was limited to sporadic riots, demonstrations, and protests. Although at the time these unorganized acts may have seemed unimportant, they did help awaken the minds of Cubans to the increasingly oppressive nature of Batista's regime and thus paved the way for the insurrection that followed. A small faction within the ortodoxos advocated violence as the correct tactic to combat Batista. Fidel Castro belonged to this group. After receiving his law degree from the University of Havana in 1950, he joined the party and was nominated to run as an ortodoxo candidate to the House of Representatives in the aborted 1952 election. Batista's coup thwarted Castro's ambitions for a parliamentary career, and Castro began organizing a small group of followers for his ill-fated attack on the Moncada military barracks in Oriente Province on July 26, 1953. Expecting army discipline to be low, Castro and his group planned a surprise attack to capture the Moncada barracks. The attack would coincide with a vigorous publicity campaign projecting the movement as an ortodoxo uprising supported by pro-ortodoxo army officers. Castro hoped for sufficient confusion to paralyze the army and thus prevent it from reacting against the rebels. Batista would then be forced to resign, and the ortodoxos would be catapulted into power with Castro as the party's undisputed leader. In reality, the party was not consulted, and its leaders were informed of Castro's plans only the day before the Moncada assault. Castro's Moncada attack ended in disaster. The garrison's discipline was not relaxed, and the army fought back the attack. Some of the attackers failed even to enter the military barracks. Those who did were massacred. Castro himself escaped to the mountains, only to be captured and sentenced to prison. In "History Will Absolve Me," his speech before the tribunal that sentenced him, Castro outlined his political program. He associated his movement with the ideals of Marti and Chiba's and called for reforms that were within the mainstream of Cuba's political tradition. At no time during his struggle against Batista did Castro outline a program that departed from Cuba's political tradition. Although the most radical elements of the revolutionary leadership thought that Cuba needed major economic changes that would cure the ills of monoculture, unemployment and underemployment, and dependence, most of the oppositionist leaders to Batista wanted political changes. None of these groups offered a program along Marxist lines. The great majority of the Cuban people who supported the anti-Batista struggle were hoping for a return to the constitution of 1940, honesty in government, and an end to violence. Cuba's small communist party, the PSP (People's Socialist Party), also opposed Batista, but through peaceful means. Since the 1930s, when it supported the Machado dictatorship, the party had lost prestige and membership and was a weak, ineffectual contender in the political process. Now, as a result of the international situation, particularly the pressure of the United States, the communists were unable to arrive at a modus vivendi with Batista. Not until very late in the anti-Batista struggle did the communists join the revolutionary forces, and even then their participation contributed little to the final overthrow of the regime. 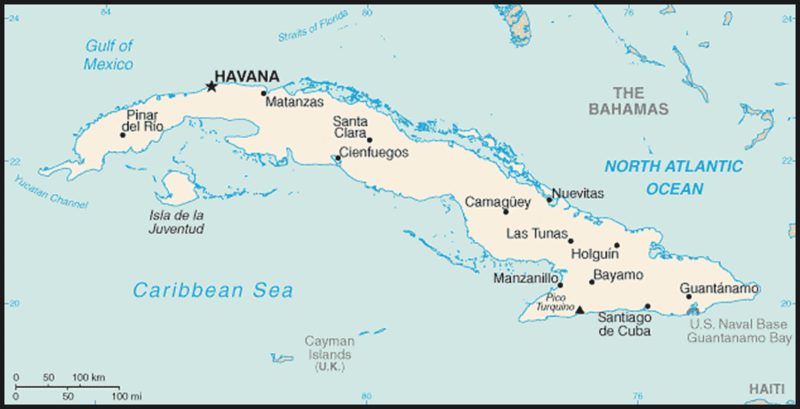 The mock election of November 1954, from which Batista, running unopposed, emerged victorious, placed Cuba at a dangerous crossroads. The opposition wanted a new election, while Batista insisted on remaining in power until his new term expired in 1958. Government officials and oppositionist leaders met throughout 1955 in an attempt to find a compromise. The failure to reach an agreement forced the Cuban people reluctantly onto a road leading to civil war, chaos, and revolution. The students reacted violently to the failure of political groups to find a peaceful solution. At the end of 1955, a series of riots shocked the country. On November 27, the FEU organized a ceremony to honor the memory of eight students shot by Spanish authorities in 1871. Rioting quickly spread to Havana. On April 21, a group of university students stoned a TV station where a government-sponsored youth program was being televised. Several participants were wounded. A police cordon was thrown around the grounds of the University of Havana, and, on the pretext of searching for hidden arms, government forces entered the university, demolishing the rector's office and destroying documents, scientific equipment, and furnishings. Batista replied to the moral indignation of university authorities and students by declaring that the autonomy of the university was limited to educational, administrative, and internal affairs; when subversive political elements were entrenched within the university, the government must enforce law and order. Instead of seeking to discourage rebellion and demonstrations, particularly from university students, by moderation, the regime encouraged it by meeting terrorism with a counterterrorism that defeated its own ends. No better method could have been devised to increase the bitterness and opposition of the people. Each murder produced another martyr and new adherents to the struggle against Batista. By the end of 1955, the leaders of the FEU realized that the efforts of nonpartisan organizations to reconcile government and opposition were futile. They proposed the creation of an insurrectionary movement to lead the struggle against Batista. When the FEU proposal found little response among the electorally oriented politicians, the students formed their own clandestine organization-the Revolutionary Directorate. While student riots and demonstrations were going on, other Cubans not connected with student activities were plotting to unseat Batista. A group known as Montecristi plotted with army officers to overthrow the regime, but Batista uncovered the conspiracy and arrested its principal instigators in April 1956. That same month, another group, belonging to Prio's Authentic Organization (Organizacion Autentica), unsuccessfully attacked the Goicuria army barracks in Matanzas Province. From jail, Fidel Castro exhorted his supporters to organize and to cooperate with other groups. In 1956 Castro was released from jail and traveled to the United States seeking funds for the revolutionary cause and organizing his followers into the Twenty-Sixth of July Movement (Movimiento 26 de Julio), an organization named after his ill-fated Moncada attack. In December 1956, Castro and a group of more than eighty young revolutionaries, including his brother Raul and an Argentine physician, Ernesto "Che" Guevara, left from Mexico in the small yacht Granma and landed in Oriente Province. There, underground commando groups had attacked several military installations, touching off a wave of sabotage throughout the province. Terrorism flared, and bombs exploded. Underground cells derailed trains and sabotaged power lines, blacking out entire towns. By the time that Fidel Castro landed on December 2, however, the uprising was well on its way to being crushed, and most of the leaders of Castro's Twenty-Sixth of July Movement were either dead or in jail. In response to the uprising, Batista suspended constitutional guarantees and established tighter censorship of news. The dreaded military police patrolled the streets of Havana day and night, rounding up suspected revolutionary elements. When Castro found that his actions were not supported by the general public, the army, or regular opposition parties, he and about a dozen survivors found refuge in the Sierra Maestra mountain range and from there began waging guerrilla warfare against the regime. Despite the instability of the late 1930s, the fall of Machado had ushered in almost two decades of political freedom and constitutional government. The students and the Cuban people in general saw Batista's regime as only a temporary interruption of Cuba's democratic political development and as the consequence of Batista's own ambitions for power and Prio's corrupt rule rather than a symptom of more profound national problems. The elimination of Batista's dictatorship became the panacea to cure all of Cuba's ills. This simplistic thinking served Fidel Castro's purposes well during his stay in the Sierra Maestra. Lacking a well-defined ideology, he proclaimed the overthrow of the regime as the nation's sole, overriding task, advocating only the most obvious popular reforms. The Revolutionary Directorate, together with several autentico leaders, planned to overthrow the government by assassinating Batista. Student leaders reasoned that such fast, decisive action would cause the regime to crumble and prevent unnecessary loss of life in a possible civil war. On March 13, 1957, in one of the boldest actions of the anti-Batista rebellion, a group of forty men stormed the presidential palace in the center of Havana and almost succeeded in killing Batista. Fidel Castro, from his hideout in the mountains, criticized the students' attack. In a taped interview shown in the United States in May, Castro called it "a useless waste of blood. The life of the dictator is of no importance. Here in the Sierra Maestra is where to fight." Throughout his stay in the mountains, Castro opposed a military coup, the assassination of Batista, or any other violent act by a group not directly under the control of his Twenty-Sixth of July Movement. The defeat suffered at the presidential palace and the death of student leader Jose A. Echeverria, perhaps the most popular figure opposing Batista, during a simultaneous attack on a Havana radio station left the Revolutionary Directorate leaderless and disorganized. Almost a year went by before the organization recovered from the blow, and even then it never regained the prestige and importance that it had enjoyed prior to the palace assault. While the Revolutionary Directorate declined, Castro, unchallenged in the mountains, grew in prestige, strength, and following. He gained adherents in the cities and won to his side many discontented elements who, whatever differences they might have had with his Twenty-Sixth of July Movement, found no other insurrectionary organization to join. Corroded by disaffection, corruption, and internal disputes, the army was unable to defeat the guerrillas during Batista's final year in power. This inability increased the guerrillas' prestige and contributed to the internal demoralization of the armed forces. The guerrillas had certain other advantages over the army. For years the peasantry in the Sierra Maestra had been terrified by Batista's Rural Guard (Guardia Rural), and they welcomed the protection and promises offered by Castro and his group. The knowledge of the terrain and the intelligence provided by these allies proved invaluable. In addition, the guerrillas operated in extremely mobile units in a vast and rugged terrain. The Cuban army was not trained in guerrilla tactics and also lacked the military leadership capable of carrying out this type of warfare against highly motivated guerrilla fighters. For many of the urban youth who joined Castro in the mountains, there was a sort of mystique in being a guerrilla, fighting for a just cause against an oppressive regime, and living in a rural environment. Finally, the guerrillas were supported by an urban network that supplied manpower, weapons, money, and other necessary aid. Guerrilla warfare in the rural areas was accompanied by increased sabotage and terror in the cities. A large and loosely related urban resistance movement developed throughout the island. Underground cells of the Twenty-Sixth of July Movement, the closely allied Civic Resistance Movement (Movimiento Civico Revolucionario-MCR), the Revolutionary Directorate, and the autenticos conducted bombings, sabotage, and kidnappings, as well as distributed propaganda. These actions undermined the foundations of the government and helped to create the atmosphere of civil war. This urban underground developed into the backbone of the anti-Batista struggle. It was the work of the urban underground more than anything else that brought about the downfall of the regime. The action of these groups provoked Batista and his repressive forces into such extreme retaliatory measures that the Cuban population became almost totally alienated from the regime. United States policy also contributed somewhat to the growing demoralization within the military. Although the United States had supported the Batista regime, by the fall of 1957 the United States government began holding up shipments of weapons and munitions. An arms embargo was publicly announced in March 1958. Although these arms shipments were small and from Batista's point of view not decisive in the struggle against Castro, they did represent a sign of continuous backing for his administration. Thus, when the embargo was declared, many Cubans saw it as a change in Washington's policy, indicating disapproval and withdrawal of support for the regime. United States actions were undoubtedly a strong blow to the declining morale of the Batista regime and of the armed forces in particular. The regime was further weakened when several institutions and sectors of Cuban society began a progressive withdrawal of their support. The church, professional and business groups, and the press exerted pressure on the government to allow a peaceful solution. At first they advocated free elections with absolute guarantees for all political parties, but the rigged election of November 1958, in which Batista's hand-picked candidate, Andres Rivero Aguero, won the presidency for a new four-year term, convinced many that violence was the only means of eliminating Batista's rule. The army's refusal at the end of 1958 to continue fighting dealt the final blow to a crumbling regime.